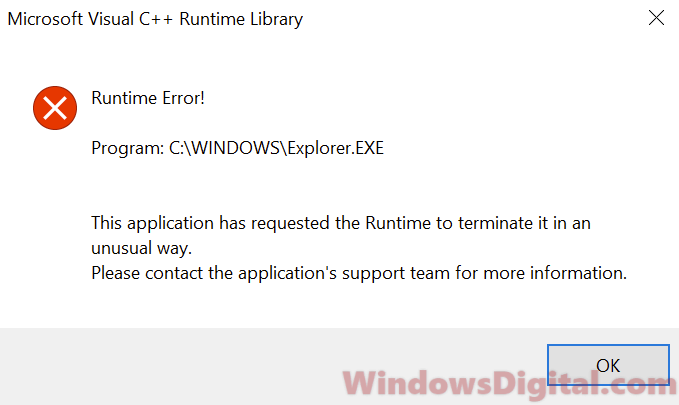 The Microsoft Visual C++ Runtime Library Error Windows 10 may occur randomly depending on the situation and what application causes it to happen. Any software or application that uses the C++ Runtime Library may cause the error if the software itself is corrupted or due to faulty Visual C++ Runtime Library. The prompted error usually read as “This application has requested the Runtime to terminate it in an unusual way. Please contact the application’s support team for more information” or “An application has made an attempt to load the C++ runtime library incorrectly“. Some of these commonly reported apps that often cause the C++ Runtime error in Windows 10 include explorer.exe, atibtmon.exe, logonui.exe, Xbox one controller, dllhost.exe and any other executable file (especially games) that originally has something to do with the C++ Runtime Library. Before you try all the nonsense solutions from around the internet, try to at least understand what this problem implies so that you know you are going for the right solutions. Runtime is a set of executable instructions developed by Microsoft which some applications rely to run. So, when there is a problem with the software application that uses the Runtime library or that the Runtime library itself is faulty, it may cause conflicts between both of them, thus, popping the Microsoft Visual C++ Runtime Library Error in Windows 10. In most cases, the problem is with the software application itself. For example, if you’re receiving the Microsoft Visual C++ Runtime Library Error which also shows the problematic executable file – atibtmon.exe, since this atibtmon.exe file relates to ATI graphic driver that handles your monitor brightness, a reinstall or update of the ATI video driver may solve the issue. So, it all depends on what application which the executable file is listed along with the C++ runtime error in Windows 10, you will have to correct the problem accordingly. 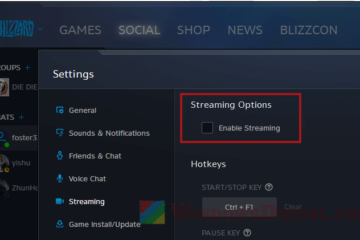 You can try to either reinstall, update or completely uninstall the concerning program or game. Doing this should usually fix the issue. 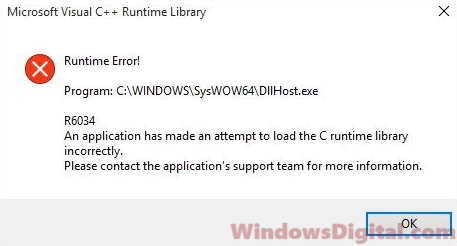 As mentioned earlier, the C++ runtime error in Windows 10 can be due to broken software or faulty runtime library. To make sure it’s not the runtime library that is causing the problem, reinstall the latest Microsoft Visual C++ Runtime library. You can download the latest Visual C++ runtime library from here. Launch the installer to install it. Restart your computer after the installation and see if you can still reproduce the error. Alternatively, you can go to Settings > Apps > Apps & features in Windows 10. 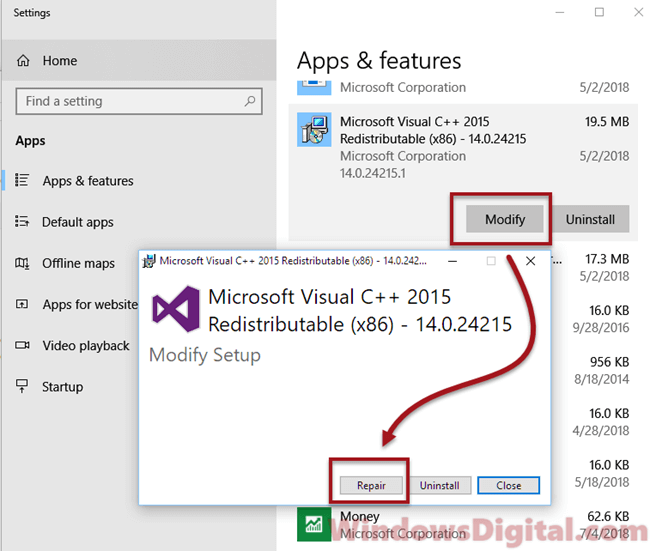 Look for and select Microsoft Visual C++ Runtime Redistributable. Click on Modify, then select Repair to repair the runtime library. In most cases especially when you see the atibtmon.exe, explorer.exe, logonui.exe or a game’s executable file shown in the C++ runtime error window in Windows 10, it is most likely due to corrupted or incorrect graphic driver. 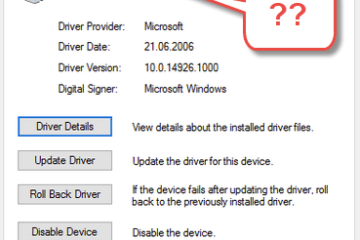 Try to update your driver by downloading the latest driver from the manufacturer’s website and install it on your computer. 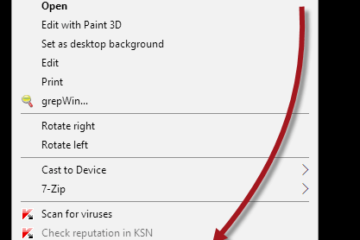 Alternatively, you can do this in the Device Manager. Press Win + R keys. Type devmgmt.msc in the run field. Click OK to run it. In Device Manager, expand Display adapters. Then, select Search automatically for updated driver software. 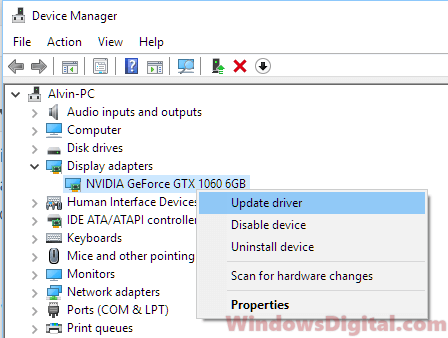 If the manager shows unable to find any driver, you can try to uninstall it by right-clicking your video card, then select Uninstall driver. 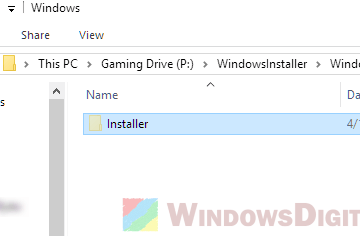 This will allow Windows to automatically search for and install the right driver for your video card on the next restart. This may be irrelevant but when there is missing or corrupted system file, the Microsoft Visual C++ Runtime Library error Windows 10 may also occur. After all, there is no harm running system file check and DISM at all. In fact, you should run these repair tools once in a while to automatically check for system file errors. Go to start menu. Search for CMD. Right-click command prompt and select Run as administrator. 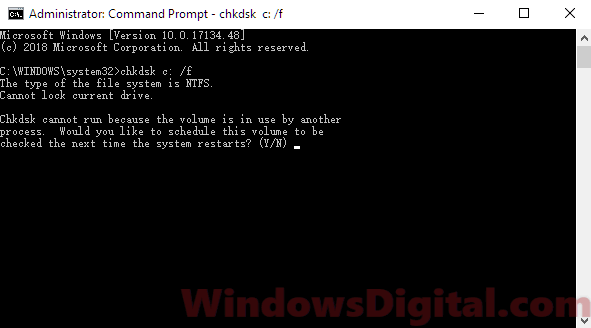 In the command prompt, enter the following commands and press Enter key after each line of command. 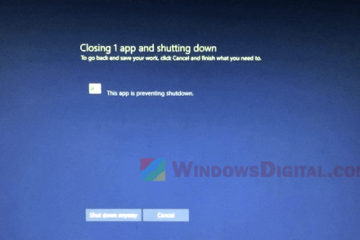 If the c++ runtime error pops up instantly on startup or if you can’t even boot into Windows to apply the fixes, read – how to startup repair Windows 10 using command prompt. Optionally, you can try to reset Windows 10 to factory settings (you’ll be given a choice to keep your files while resetting) if nothing works to solve the problem and the Microsoft Visual C++ Runtime Library error in Windows 10 persists. Description for sharing: Fix for - Microsoft Visual C++ Runtime Library error Windows 10, which relates to program such as explorer.exe, atibtmon.exe or a game's exe.